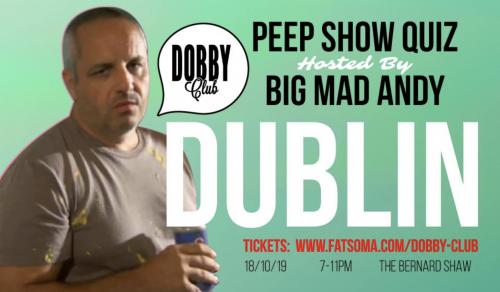 Big Mad Andy has stocked up on cheap emulsion, anti-depressants and Peep Show trivia and is heading to The Bernard Shaw for the first time. Expect a quiz, insane bonus rounds, outrageous prizes and contagious sing-a-longs of Africa by Toto. Tunes on the night will be supplied by BUA boyos from 7pm, read more about that here.